The New AirFree E2800 Series air purification and filtration system is an award winning purifier gaining solid recognition worldwide. This silent air purifier uses a patented Thernmodynamic Sterilizing System (TSS) technology which has been proven through rigorous testing to sterilize air. This technology accounts for reducing microorganixm rooom count by an average of 99.99% This new technology out performs most normal high efficiency particulate air purifiers such as HEPA, ionizers and ozone. 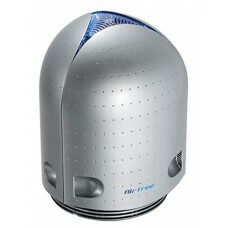 One of our favorite things about the AirFree machine is that it is completely silent and maintenance free! Model E2800-covers a capacity of 650 Sq ft.